Engineers like to think about form, fit, and function. Accountants like to think about costs, inventory management, and profits. In successful companies, the two come together through the use of product cost management (PCM). Razorleaf believes no product lifecycle management (PLM) system is complete without a well-thought-out PCM workflow in place. Keep a tight control on product cost during design and manufacturing to improve procurement and achieve higher profits. Manufactured products are usually a mix of parts sources from other manufacturers and elements created in-house. Engineers select parts based on design criteria, not on profitability. It is the rare company that has a “design for cost” analysis in their workflow. The best time to analyze for cost is very early in the design process, when there is still flexibility to explore trade-offs. Information on part cost exists, but in most companies the visibility into cost issues is not easily accessible to designers. The importance of cost control rises with manufacturing volume. Sweating the details of part costs might sound like too much attention to detail, but if the item will be manufactured hundreds of thousands of times, the cost of even the smallest item has a significant impact on final cost. PCM software allows companies to develop “should cost” strategies or scenarios. Product costing does not work in isolation, but becomes part of the design optimization process along with more traditional engineering aspects. The ability to predict supply and manufacturing costs with high confidence can help in negotiations with suppliers. New options might occur when there is good data to share about why a certain part has been selected. Sometimes companies work with suppliers to simulate and evaluate new alternatives together, based on data from product costing as well as from engineering. Product cost management can also be an educational tool for suppliers, setting up a win-win scenario of continuous improvement without unrealistic price-only negotiations. Done right, product cost management can open the door to re-shoring by making it cost-competitive to deal with local suppliers instead of those an ocean away. Every time you shrink the round-trip of a design review or negotiation or delivery by thousands of miles, you reap saving that reduce costs and increase profits. Costs and product features are in a symbiotic relationship, but there is no single way to determine the cost of a product. Feature-based techniques look at design characteristics, seeking to find unnecessary or superfluous elements. Bottom-up product costing calculates the expected cost of an item based on typical manufacturing practices and required tools. The PCM system comes with data to make these evaluations; new information can always be added. An informed cost model brings clarity into early design, resulting in better data for the bill of materials (BOM) and the bill of process (BOP). The latter, also known as the manufacturing BOM (MBOM) includes labor, equipment, tooling, setup, and other production costs. PCM as part of the PLM system makes it easy to run multiple “what if” scenarios based on options revealed during the initial product costing process. The rapid changes impacting manufacturing make it more important than ever to drive accurate information into every aspect of design, engineering, and production. There are seemingly unlimited options in materials, processes, suppliers, and delivery. 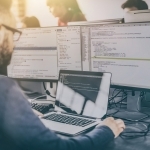 The speed, volume, and diversity in today’s design and procurement processes can be unmanageable without the use of specialized software. 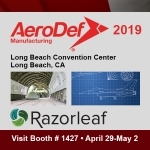 Razorleaf has helped hundreds of manufacturers improve their design-for-cost practices by integrating product cost management into PLM. We work with all the leading PLM software products, and can help you choose and implement the perfect solution for your particular needs.